Over the past three months I have tried to spotlight some of my favourite downtown spots, and as a downtown student for the past almost-four-years I have found quite a few of these. 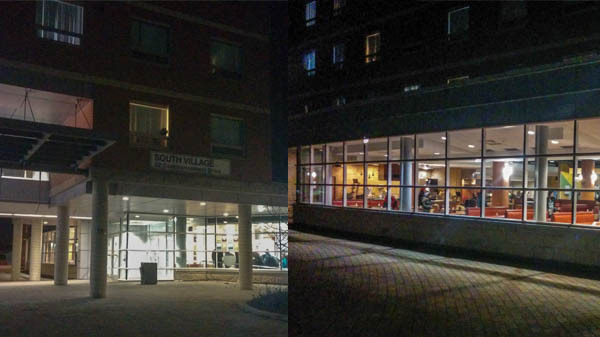 This month, however, I took a trip up to the North location – and down memory lane to when I studied here – to check out the South Village Residence Dining Hall, where I have eaten a few hundred times before, years ago. Most students living in residence on-campus are likely familiar with the dining hall as the primary consumer of their meal plans. For off-campus housed students, or for any member of the public, the dining hall accepts cash, credit, debit, and most other forms that money can assume. 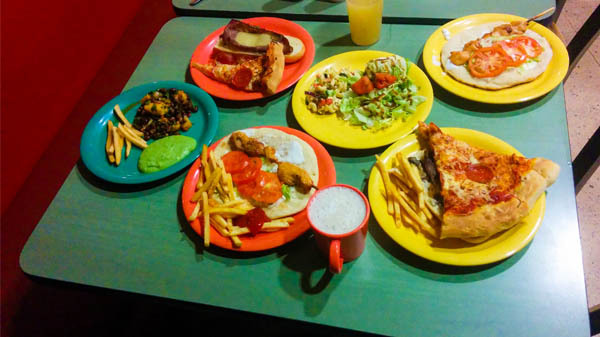 It can be tricky to valuate “unlimited food and drink,” but as buffet experiences go the dining hall is on the more affordable end. Meal plans net you a preferred rate. Or, if you happen to have a friend living in residence, like I don’t, you can get in on a guest pass to sample the dining hall’s goods. I brought a friend along, which always helps to even out the perceived plates-per-person ratio when visiting a place with no plates-per-person rules. We made the rounds collecting a little bit of everything until our table began to run out of real estate and our legs grew tired. Your food choices will depend on time of day. I recall eating a lot of eggs and pancakes early in the morning when I studied up here, but my visit last week was right around dinner time. The first thing you need to know is that there is always pizza. 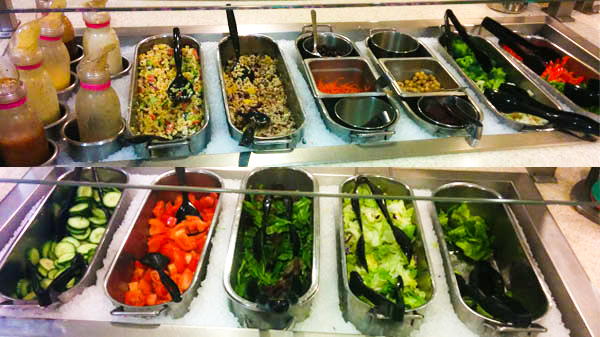 Secondary to that sovereign guarantee are the manifold other food offerings: fries, salads, sandwiches, soups, and a few stations that change up their offerings more frequently. 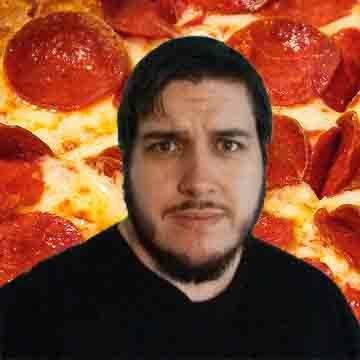 We grabbed pizza, fries, souvlaki, some kind of bean salad, some pasta salad, and some regular salad. Did you know that if you eat salad, your body doesn’t understand the calories that you stuff in around the salad? The salad bar was probably my favourite stop. There was enough variety here that I could see myself eating lettuce for a bunch of days in a row were I living in residence. To be clear: when I lived in residence I never did this, ever. But that was years ago, and I think myself not only older today, but wiser, too. It helps a great deal that no one is going to hold me accountable for any salad-related assertions I make here today. Really, though, the number of ways that salad can be eaten here felt nice to see. In the time that has passed between my last visit and this one, there are a few more noteworthy changes I wanted to draw attention to. 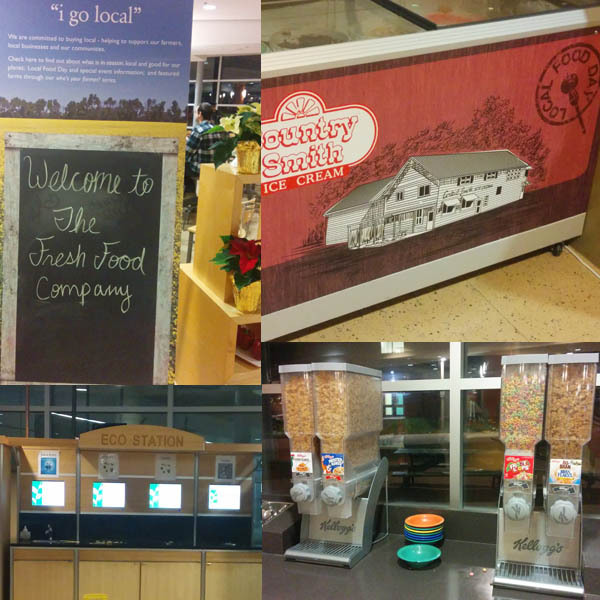 Firstly, there are now gluten-free choices much more prominently featured across most serving stations. The dining hall seemed much more accommodating to dietary restrictions than I recall during my time in residence. Secondly, the dish and food disposal process has been streamlined. What they call an “eco station” makes cleanup quick, easy, and green. Speaking of green, the word “local” is all over the place now. And lastly, we finished our meal with ice cream and cereal. I ate the cereal. If there is one thing I want you to take away from this, it’s that the dining hall is a place where you can eat Froot Loops at seven o’clock at night if that is what you want, because you are an adult now.